Paul Bumgardner, age 66 of Flemingsburg, beloved husband and best friend to Donna Blakeley Bumgardner, passed away on Wednesday, January 16, 2019 at the University of Kentucky Hospital. Born in Rowan County on February 12, 1952, he was the son of Vernon L. "Bud" Bumgardner of Flemingsburg and the late Betty Skeens Bumgardner. Paul was retired owner of Fleming County Tractor and Equipment. Before his illness in 2009, Paul had a zest for life and for people. He loved selling farm equipment and going to work every day. Within the last year, Paul enjoyed selling knives and going to the shows with his wife. Most of all, Paul loved seeing his grandchildren and great-grandchildren. Besides his wife and father, he is survived by: two sons, Jody (Tammy) Bumgardner of Columbus, OH, and Cody (Sarah) Bumgardner of Lexington; three grandchildren, Ashton (Evan) Henderson of Richmond, Sydney Bumgardner of Lexington, and Jackson Bumgardner of Lexington; a great-grandson, Damion Henderson of Richmond; a sister, Denise Bumgardner of Flemingsburg; and his "four-legged partner", Maggie. Paul's wishes were to be cremated. 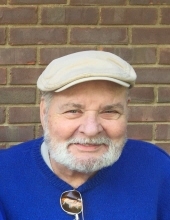 A memorial visitation will be held from 2-4 pm Tuesday, January 22, 2019 at Carpenter-Fritz & Vice Funeral Home.